She was very nice and proficient and so was the dental assistant. The front desk staff were very sweet as well!I really like that they provided me with an exact cost of additional fees before providing me with my cavity filling. She was very nice and proficient and so was the dental assistant. The front desk staff were very sweet as well! I really like that they provided me with an exactcost of additional fees before providing me with my cavity filling. I saw Dr. Temple here and had a great experience. Very careful and professional. Did not have to wait long evenwith an extended appointment for fillings. I definitely recommend her! I saw Dr. Temple here and had a great experience. Very careful and professional. Did not have to wait long even with an extended appointment for fillings. I definitely recommend her! Dr. Jinal Patel graduated from University of Southern California, Herman Ostrow School of Dentistry, earning the degree of Doctor of Dental Surgery. She has years of experience practicing multi-disciplinary dentistry and has gained diverse dental experience with children as well as adults. 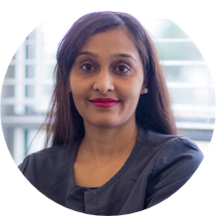 Dr. Patel is caring, compassionate, and easy going, who goes above and beyond to provide her patients with quality dental care. Dr. Patel is a current member of: – American Dental Association (ADA) – Texas Dental Association (TDA) – Capital Area Dental Society (CADS) She is also an active member of dental communities and participates in numerous continuing education courses to keep herself on the edge with fast-changing and dynamic dental field. Dr. Patel is also awarded America's Top Dentists for 2017 by the Consumers Research Council of America (CRCA). Dr. Patel is married and has one son. When she is not working, she enjoys spending time with her family and close friends, traveling, cooking, reading, and outdoor activities. Dr. Patel was personable and informative. The office staff and hygienists were very friendly. I was so nervous but everyone made my experience the best yet! I did not care for this dentist. I set up an appointment for me to come and I told them I wanted my chipped tooth filled but they didn't have time to do a filling when I came in so Ihad to book another appointment the next day. So my first appointment all I got done was set up my second appointment. They were quick to schedule the appointments and I liked that they had after work hours available however I will probably not go back. I am not sure if this is the fault of the dentist but after receiving a filling on one of my molars I have noticed much more sensitivity which hasn't gone away and therefore I have a hard time chewing hard food on that side of my mouth now. None of my other fillings completed by other dentist have resulted in such sensitive spots. I would NOT recommend this dentist at all. After waiting more than one hour past my appointment time to see the dentist, she came in, talked to me for a few minutes about my problem and wrote it off as stress(my tooth/gum was hurting). Then she offered me a cleaning so she could have a better look. Because I was due for a cleaning, I agreed. The dentist SPENT LESS THAN 5 MINUTES ON MY ENTIRE CLEANING. Now I have lost a cleaning for 6 months for a five minute cleaning. I would NEVER recommend this place at all unless you want a subpar cleaning. I think they are trying to do the minimum amount in order to get paid by insurance. Exemplary experience; everyone so kind, healthful, and knowledgeable; awesome bedside manners. The office was very clean and modern! I was answered every question I had and everyone including the staff ere very professional and caring! My visit was pleasant! Everyone was informative. Dr. Patel answered all my questions and concerns. Best experience ever! Very friendly with engaging staff. Will definitely be back. Dr. Patel did a wonderful job redoing a front tooth filling that had lost it's color over time. You cannot even tell it isn't a natural tooth. The practice also uses modern technology. Go here! I was very pleased with the excellent service from Dr. Patel and the entire staff. They were fast and efficient. I highly recommend their services. You will be pleased.